A year or so ago, ZDNet Microsoft blogger Mary Jo Foley from back in June. First off, no link? Where’s the love? Second, I am going to sue you blind, lady. More stuff there you used to read here! I love my parents. They had just gotten back from a long trip overseas on Thursday and, as exhausted as they were, they called me to say they were sorry to hear about Steve Jobs. Which is so nice and also kind of weird, right? It’s not like I ever even met Steve. But they knew that while I’m too old to have heroes, if I did have heroes he would have been one of them. Then, for the second time this year, my dad surprised me. The first was when he told me that he had met Ian Flemming back in the 1960s. This time it was telling me he had actually met Jobs, back in 1980. Apple was about to go public and Jobs came to New York to drum up interest in the company’s IPO. My dad worked for a money management firm and spent an hour with others in the company listening to Jobs talk up Apple. It was hard for my dad to remember much, but I asked him if there was anything, even just impressions, he could recall. He wore a suit and tie and his hair was slightly long. Full of energy and conviction he made his case that his computer was the best and there was no way he would share the operating system with others. He was a great salesman and very focused. We all found him and his fledging company exciting and fun. In retrospect I’m sure Thursday wasn’t the first time he’s told me he met Jobs. After Jobs was on the cover of Time in 1982, that issue sat on our kitchen counter for what seemed like a year, right next to where I put my books when I got home from school. I’m sure he must have mentioned it then: “Hey, I met this guy!” or I don’t think I would have made note of it. Thinking back I think I kept that issue because I found Jobs interesting, long before I used any of Apple’s products. The guy made computers. And money. And was only 10 years older than me. How do I get in on that? Hard work, it turns out. Hard work and inspiration. And determination. Eight years later when I bought my first computer I knew I wanted a Mac. There wasn’t any question. As I told my pal Shawn King on a memoriam edition of Your Mac Life he put together, I know some of the executives read my stupid web site from time to time and I’d like to think that Steve read some of my pieces and maybe one made him laugh. Like this one about Avie Tevanian inexplicably going through puberty again. I know Tevanian at least read it because he emailed me about to make a small correction about his age (true story). I updated the story because I care. 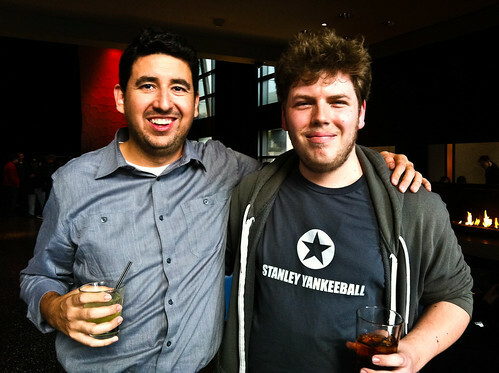 The first time I saw Steve in person was on stage at Macworld Expo 2007 when he introduced the iPhone. He had been struggling with cancer for years at that point and sitting there in the crowd it was clear how important the event was to him. I think maybe he realized this might be the last biggest thing he ever did, the last time he really changed the world. Again. I was glad I got to see it. Glad I got to see what was probably the biggest Macworld announcement ever. Glad I shared that moment with him, even if I was just another head in that sea of nerds. After knowing about Steve Jobs for 30 years, I’m sad there won’t be any more chances for him to change the world. Macworld asked me to contribute to their 2012 predictions piece which also features Jacqui Cheng, Adam Engst, John Gruber, Andy Ihnatko, Arnold Kim and the Macalope. Somehow, they gave me a higher rating for my predictions for last year than they gave Adam. Only because I successfully stereotyped MUG members. How hard is that? Anyway, if you used to like this site, you might like my predictions. Posted on January 7, 2012 March 21, 2017 Author John MoltzCategories CARS18 Comments on More stuff there you used to read here! Hey, CARS-istas! For your holiday enjoyment, I did a thing for Macworld similar to the things I used to do here except they added some really nice artwork unlike the crap I used to slap together so if you used to enjoy the things I did here perhaps you would enjoy the thing I did there. I don’t know. I’m not sure I remember how the Internet works. Aaaaand apparently the most recent WordPress update broke the theme. That’s. Just. Great. Update: Fixed! It’s a Christmas miracle! Stanley Yankeeball, a photo by gruber on Flickr. Photo by Adam Lisagor. T-shirt by Scott Jackson. Concept by John Moltz. Gruber’s haircut by Supercuts. 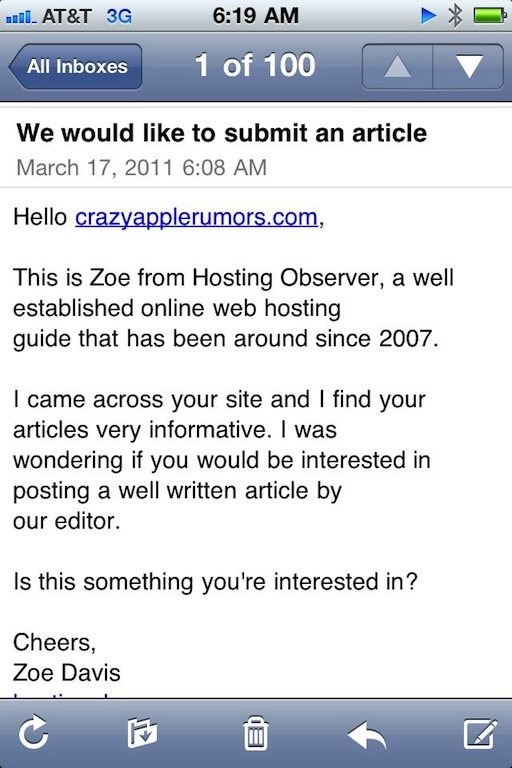 Zoe from Hosting Observer (whatever that is) found the articles on this site "very informative."